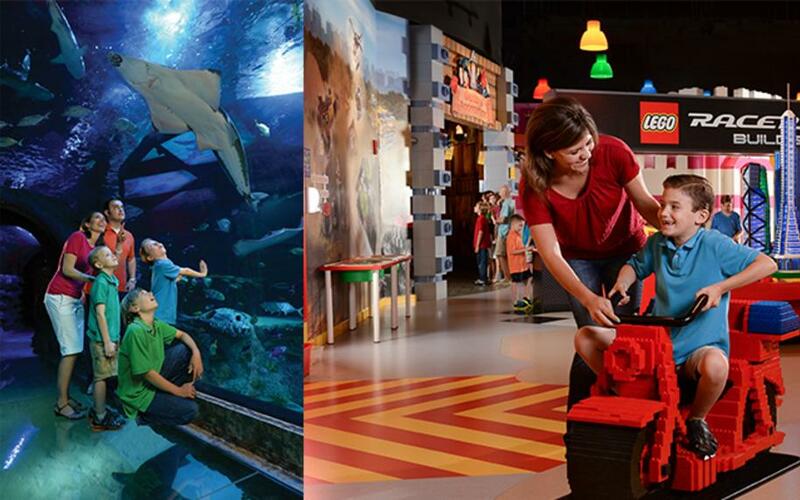 Starting at just $27 for children, (ages 3 -12) you and your family can combine a trip to the ultimate indoor LEGO® playground with a look into the world of hundreds of amazing creatures from the land and the sea. Let&apos;s start with your tickets. Click here to buy your tickets at least 24 hours in advance for guaranteed entry. Children 2 & under visit FREE. This will not only give you peace of mind but it will absolutely guarantee your access into SEA LIFE and LEGOLAND. Start your day promptly at 10 a.m. when SEA LIFE Grapevine opens their doors. You&apos;ll not only beat the lunch rush but you&apos;ll get the first look at all of the sights and sounds they have to offer. A couple of my absolute favorite exhibits is the brand new CLAWS exhibit featuring different crustaceans from around the world including mighty coconut crabs, unique porcupine crabs, lively land crabs and even lobsters. 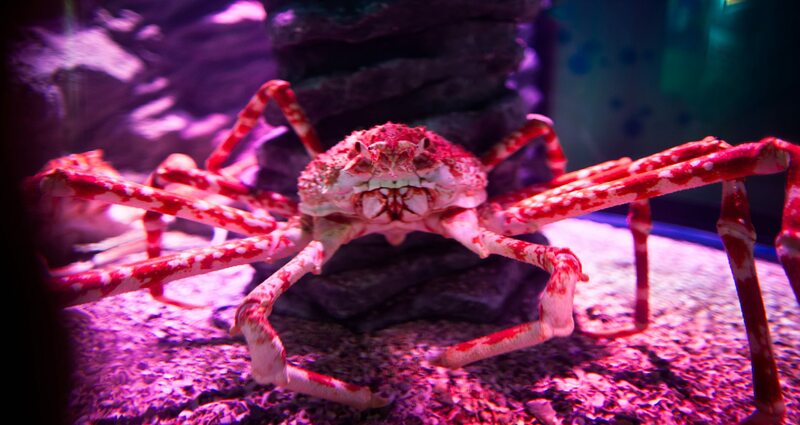 The exhibit also features a Japanese spider crab, the largest arthropod in the world, with legs that can reach 12-feet across when fully grown. Another must-see are the amazing stingrays! Visit Stingray Bay where you&apos;ll see a family of southern stingrays and cownose rays as they glide along the sea bed. Don&apos;t forget to take a stroll under the sea as you pass through the amazing underwater ocean tunnel. Shoals of glittering fish flutter along beside you while sharks, rays and rescued green sea turtles, Boomer and Eddie, glide slowly over your head. The fun doesn&apos;t stop there. Take a peek at some of the other exhibits you can discover along the way here which a touch pool, special feedings and demonstrations, and behind-the-scenes tours. By now you&apos;ve probably worked up an appetite and are ready to grub before you take over LEGOLAND. You&apos;re in luck. Grapevine Mills has a wonderful food court with tons of options for you and your family. If you want to get out for a bit, that&apos;s cool too. There are several great restaurants surrounding Grapevine Mills including one of my faves, Love & War in Texas. Their steaks are out-of-this world good! Just be sure to bring your appetite. 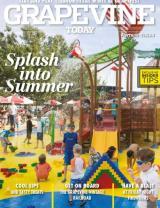 With a full belly and more energy to burn, now&apos;s the time to visit LEGOLAND for the second leg of your adventure. 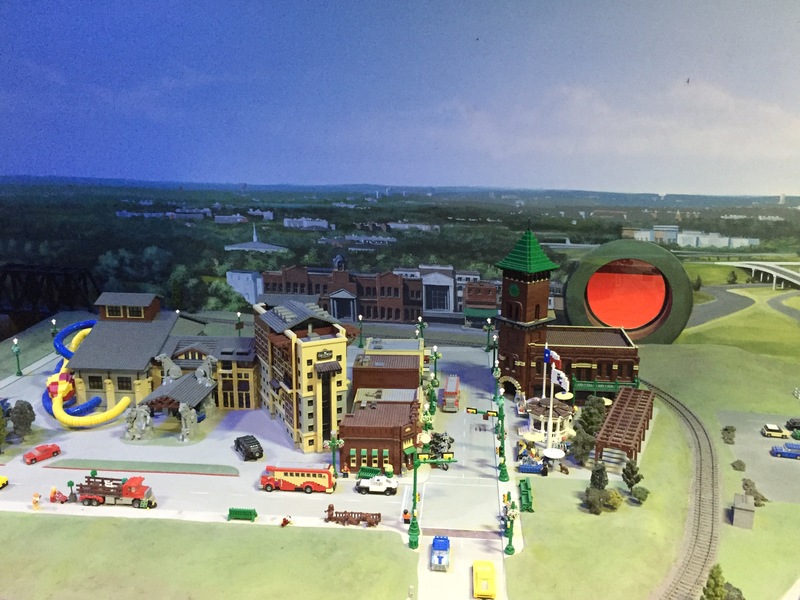 Here you&apos;ll be able to test your driving skills in LEGO City Forest Ranger Pursuit, spend a day on the Kingdom Quest and Merlin&apos;s Apprentice LEGO rides, see the new LEGO movie 4D movie and learn how bricks are made in the special LEGO factory. One of my favorite spots is browsing through the displays of the most iconic attractions in North Texas, including scenes from Historic Downtown Grapevine, Nash Farm, Gaylord Texan and more. Then there&apos;s Pirate Beach! This is by far one of the best places to cool off from the Texas heat in Grapevine. 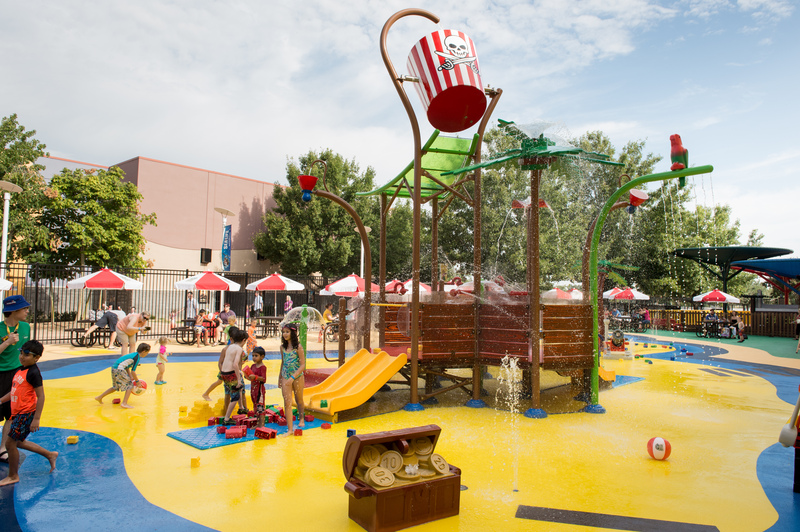 Geared towards children ages three to 10 (but fun for ALL ages), Pirate Beach features more than 30 interactive gadgets pumping and spraying thousands of gallons of water. Structured after a shipwrecked pirate vessel, Pirate Beach&apos;s central feature is a playground where kids can navigate through water jets and fountains, squirt cannons and splash down water slides. Looming at the top of the 20-foot-tall mast is a 50-gallon bucket poised to dump water on guests every few minutes. Bring your buccaneers, bathing suits, towels, a change of clothes and prepare for fun...if ye dare! Pirate Beach makes it convenient for you and your family with changing rooms, outdoor restrooms and lockers that are available to rent for $5. Just remember that Pirate Beach closes 30 minutes prior to the rest of the attraction closing to give you and your family time to dry off and exit the center. 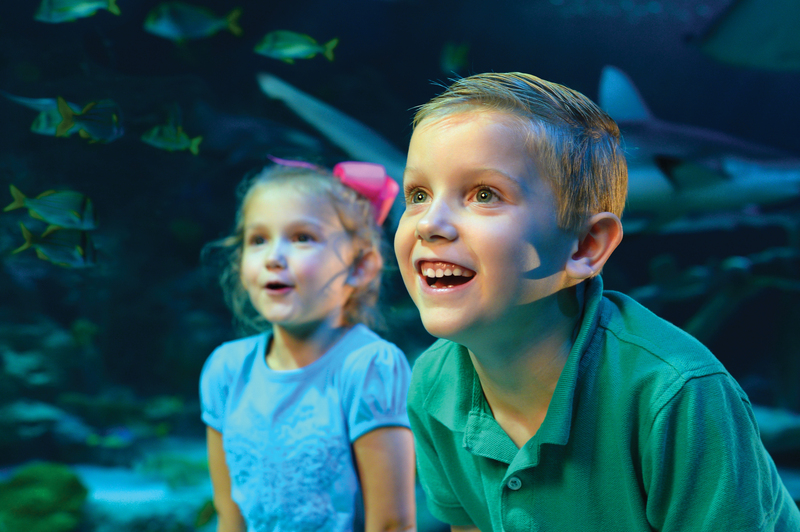 Now that you&apos;re equipped with the inside scoop on everything SEA LIFE and LEGOLAND, put my tips to use and plan your next family trip to Grapevine.